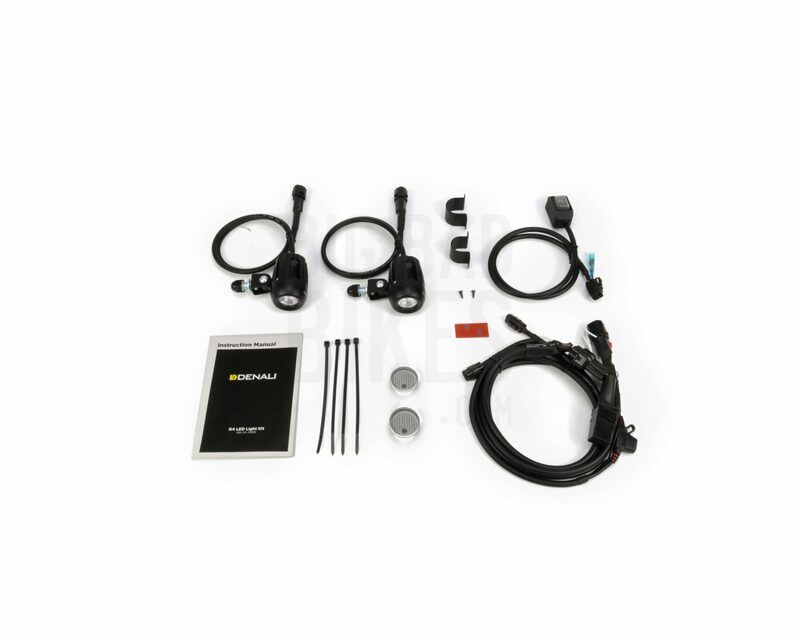 The DENALI DM 2.0 LED TriOptic™ LED light kit with DataDim technology maximizes visibility in an extremely durable, efficient, compact yet very powerful package. 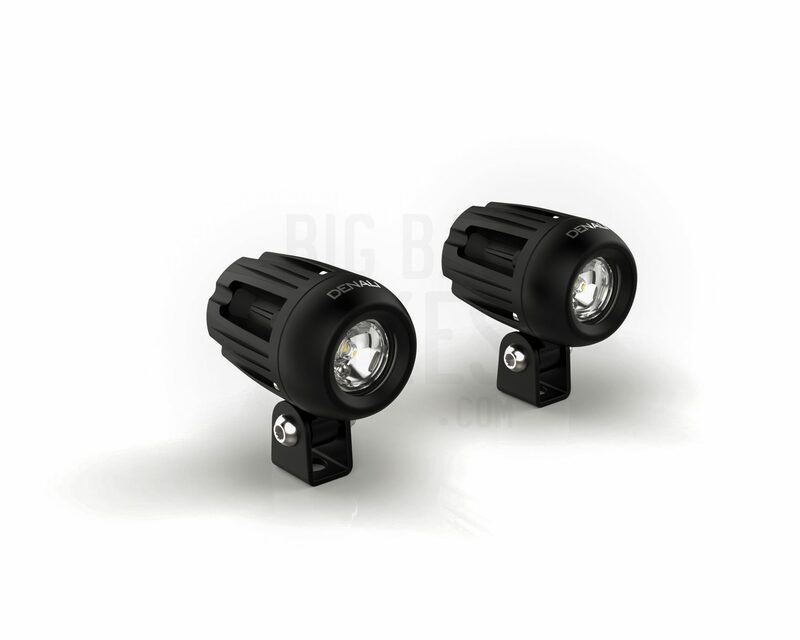 The DM is primarily designed for conspicuity, so you’ll stand out from road clutter and be seen by other drivers, but it also provides a useful increase in illumination over your motorcycle’s stock headlight. Fitted into rugged aluminum housings only 43mm in diameter and 61mm long are powerful 10-watt Cree LEDs, providing 120m of useful, confidence inspiring light. The DM’s compact shape allows it to be fitted anywhere your imagination takes it, although it’s really optimized for fender mounting. 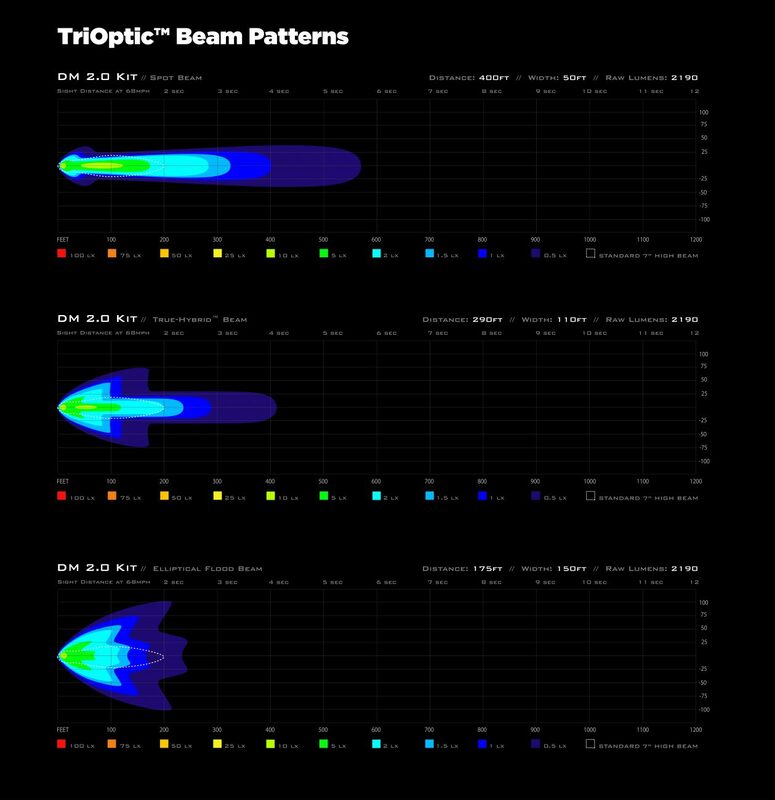 Also new with the DENALI 2.0 generation of lighting is the industry-leading TriOptic™ lens system. Each lamp comes with both spot (installed) and flood (supplied) lenses in the box, nothing else to buy. The spot lens produces the greatest beam distance, while the flood lens produces a broader spread of light closer to the motorcycle, filling the road edge and shoulders. To get the best of both worlds, use a spot lens on one light and a flood lens on the other light for distance illumination and a useful spread of light at close range. The flood lenses E-Marked to be road legal in countries where this is a requirement. There are also amber lense kits available as an optional add-on!